Sorry about the late hand-in, this is unacceptable but my goal is to make the best project I possibly can. I created a world in a bleak distant future where overpopulation and reliance of technology becomes common place. 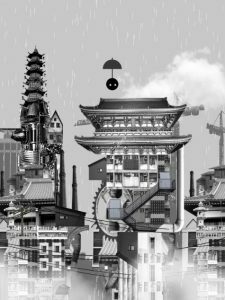 The visuals are inspired by Japanese animator Hayao Miyazaki, who produced the likes of Spirited Away and Howl’s Moving Castle, and I attempted to replicate the style by combining traditional Asian architecture with apartment building commonly found in crowded urban living environments. *Sorry this was submitted a day late (I still have a grace day if that counts), I was really busy and thought I had submitted it earlier. I actually finished it last week, but wanted to hold off submitting it in case I decided to change anything. For my project I tried to replicate a paint program that allows the users to draw things using tools. 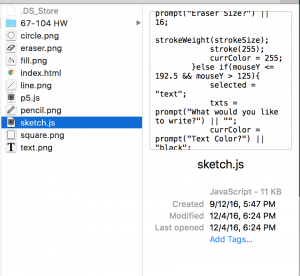 I started with the generic tools such as pencil, rectangle, ellipse, eraser, text, and line, creating an object to add to an array that is drawn over each time draw() is ran. I then created a way to both undo and redo objects using z and y by popping the last element in the drawn array onto a stack, and moving pieces from the stack back to the array when redoing. The stack is cleared if the user draws again. I also made it possible to save the image by pressing s, redrawing over the text tool bar to allow for a cleaner saved image. I used prompt in order to get the values that the users would need to input when using these tools, otherwise piping to a default value to avoid nils. If I had more time I would have created form fields that the user would be able to interact with more freely and less intrusively. My final project was an attempt to make a digital mind-mapping interface. A mind-map is a tool for thinking through complex problems in which the user draws nodes which represent ideas and then draws connections between those nodes to develop complex relationships. A digital mind-mapping interface would transcend the traditional limits of the paper medium. Unfortunately, the sketch uploaded to WordPress can’t run because I have been unable to find a way to load a font, which I need in order to use the textBounds() function for click detection. When it’s working locally on my computer, the user can click or touch the screen to begin creating a node. The user can type in text for the node, then press enter to finalize the node. The user can continue to do this to create multiple nodes. If the user clicks an existing node, that node becomes selected. 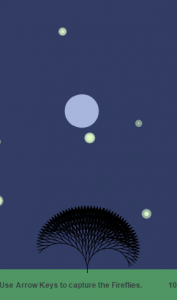 The user can click and drag a node to move it on the canvas. If the user has one node selected and shift-clicks another node, a link is created between those nodes. As the user moves nodes that are linked, the link is preserved. var mode; //the current mode. possible values: "MAP", "NODE EDIT"
//which would confuse the double-click functionality. Please download the files and play the game though local server. I tried uploading the files to both wordpress and the andrew webite that students are given but, neither work. This project is a continuation of project that I did in a previous class and wanted to expand on. Roger signed off on this agreeing that I would make it clear what was pre-made. ONLY the audio and mic input functions are new. Everthing esle was made preiviously. I have also sectioned off and uncommented the code that is not new and marked it “Pre-made DO NOT GRADE”. This added in audio function is an exploration on simple machine learning. For a little while I was trying to use recordings and slice those recordings into arrays to make the audio. But this proved too dificult for my skill level and also did not really achive the effect I wanted. So instead how the program works is that there is a very sensative volume monitor analyzing input from the mic and then depending on how loadly you talk (or sing or hum or what ever) the program puts in diffrent sound files. As I said the monitor is very sensative and the game it ment to be a little dificult. A simple cheet that I’ve found is that singing or humming work better then actually talking. My program is designed for kids or beginners who don’t have any musical background in the goal of getting them to know the 7 basic keys in piano with the aid of a metronome. This program is simple to use and should build interest in users because they get to record what they played and replay or download the recordings. Users can follow instructions that are displayed in the program to know exactly how to use this program. 2. Keys A,S,D,F,G,H,J when pressed, will play piano keys A,B,C,D,E,F,G respectively. The code is written in a way that both capital and lower case keyboard keys will work. 3. Record your performance by hitting the record button, once done, hit the record button again to stop recording. 4. After you are finished recording, you have the option to either play your recording or save it. By pressing the save button, your audio recording file will be downloaded to your computer. 5. Refresh the page to start new recording. 2. The rectangles that pop up when sound is played shows you the frequency of the sound. 3. 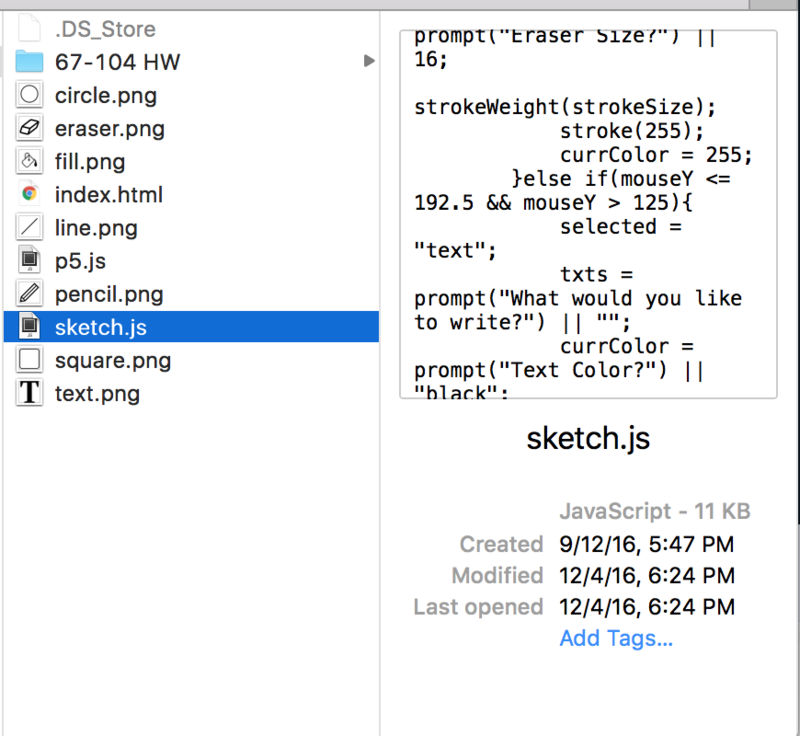 The buttons’ scales are off when sketch is embedded on WordPress. The original file did not have overlapping buttons. 4. When running locally, the program only runs when Firefox is used. For my final project, I created a “capture the fly” type game. I thought that this would be a prototype for a phone screen, hence the attempted phone screen sizing. My inspiration for the game comes from the song “Fireflies” by Owl City. 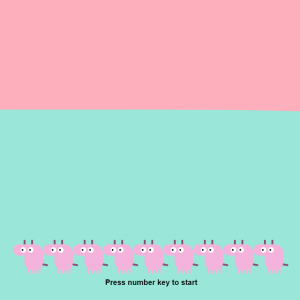 The song is about dealing with insomnia and since I also have trouble sleeping, I thought it would be a good fit to create a pretty boring, softly colored game that people can play to fall asleep. The mechanics are pretty simple. 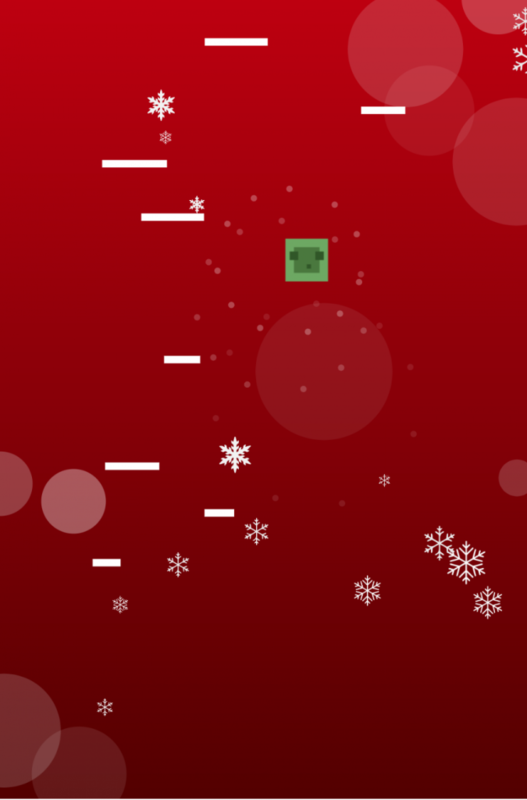 Here you are waving around a circle using the arrow keys, on a phone, it would be your finger. Your objective is to capture the fireflies that are flickering in the night. As you do so, your “jar/eater” becomes heavier and moves around slower, due to a slower speed function and increased computing use. The slowing is meant to make your movements more slowly and careful as you start drifting into sleep. Additionally, for decoration, the more fireflies you gather, the more that the tree will grow. This serves as a visual indicator of where you are in the game. // draws the "jar that captures fireflies"
// moves the "jar that captues fireflies"
//draws the story board where score and directions are kept. // Week 10 - Generative landscape notes helped! 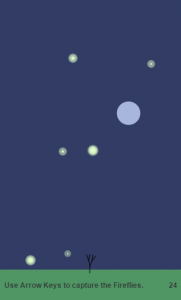 For my final project, I created a game where the player catches espresso shots (expressed as ellipses) falling from the top of the screen in a cup at the bottom of the canvas. The cup is controlled by a scroller, and the user must drag their mouse in order to move the cup. The user should move the cup in order to catch the falling espresso “elements” in order to get a (more than healthy, probably way too much!) dose of caffeine. Once the user has caught more than 50 espresso “elements” in their cup, there is a surprise. In creating my project, I went back and referred to some class notes, notably the lab from Week 3 and the Week 10 deliverables. Having to revisit these ideas helped me solidify my understanding more, and I really appreciated having those resources. One thing to note – When testing my game, I noticed that the score keeping mechanism is sometimes inconsistent. I went through my code several times and tried many different things to try and fix this bug, but in the end, I failed.  However, I quite enjoyed working on this project overall, and this project really made me appreciate beautifully made games because it is obvious that there is immense amounts of work that go into them.